Heat can be a factor in a storage unit especially one in Orange County. 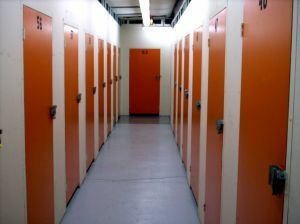 If you don’t want your property baking in the hot sun, then look for a storage unit that is climate controlled. There are also units that are inside of facility as opposed to on the outside like a garage. Storage units on upper levels might also be less expensive than the ones with drive-up access. If you know that you’re not going to be doing a lot of back and forth, then those upper-level units are good option. It’s hard to gauge the size of a storage unit compared to all the things you want to put into it. That’s when we need to maximize the space by being a smart packer. Any piece of furniture that can be taken apart such as a table or headboard should be disassembled. Put all the nuts and bolts in a baggie and tape it right to the furniture. Stack your lighter boxes on top of heavy boxes. Don’t make those stacks too high. If possible, create aisles that you can walk up and down. Pack as you would for move by using bubble wrap or foam peanuts for your breakables. Keep a detailed inventory of all the things you have in storage so you know where to find them. Just as you would ensure your property in your home or apartment, you should also consider ensuring the items in your storage unit. Before you add a policy from the facility to check your homeowner’s insurance policy. You might already be covered and not even know it. Regardless of the great rate you might get on your storage unit you don’t want to pay money to keep rubbish safe. As you sort through the things you’re going to put into storage you’ll probably find a lot of stuff you can get rid of. That’s when you want to call in Junk King Orange County. These are the junk removal pros that can help haul away all kinds of unwanted items from your home. If you’ve Artie put them into storage, then you can arrange for Junk King Orange County to drive up to the facility for removal. Don’t load up a storage unit before hiring Junk King Orange County to get rid of rubbish. This entry was posted in OC Junk Removal and tagged clutter, Junk King Orange County, junk removal, rubbish, storage unit on July 25, 2017 by Junk King. Last updated July 25, 2017 .